Thinking back to a time when people used to communicate mostly by letters, it is hard to imagine that you could fast forward many decades and the pen and paper would be ditched in favour of emoji’s on a mobile device, but that is the way of modern communication. The art of letter writing was eloquent, beautiful and in my opinion as a writer, quite amazing. I still enjoy the long rambling letter and when I went on Erasmus while studying in the University of Limerick, I used to write to my other half in that good ole traditional way (that graduated up to emails when I went on J1, as the postal service would simply take too long). When writing a letter, people would settle into their writing desk, get out their favourite pen, select the best paper and then thoughtfully commit their ideas and thoughts to paper. If you compare this to how we communicate now, it does seem that contemporary communication is a little more empty and fly-away, but this is where things like emoji’s, stickers and GIF’s come in to add context, tone and meaning to our words. In the world of instant messaging and texts, it is very difficult to put things like tone, humour and meaning behind your message. The recipient cannot hear your voice, see your facial expressions or read your body language. Take the simple phrase “I’m fine”. By itself, this seems quite cold, if you put it all in capital letters, it seems angry and if you put a few exclamation marks after it, it seems quite hostile. The quandary of knowing whether or not the recipient will know which one you mean is instantly solved by being able to insert a smiling face, crying laughing face or angry emoji. While this is all fairly sensible, everything gets considerably more complicated when you look at people who communicate solely through emoji’s, stickers and GIF’s and this is where you really need to know your interpretations and be quite savvy at the art of the emoji. 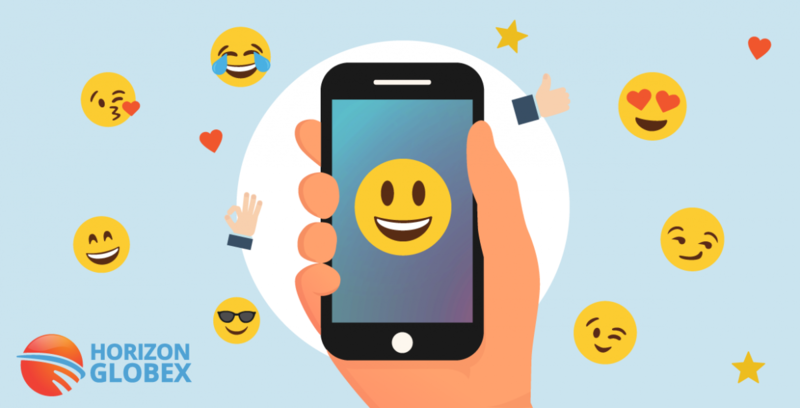 At the moment, the emoji for most of us is a way to add context to our messages, but there may yet come a day when communicating using only emoji’s is the way forward, so get ready to scroll through hundreds of tiny images as you begin your earnest search for the ones which capture what you are trying to say. What Will 5G Mean for You?